Only 1 in stock, order soon! Fobus' Standard Series holsters feature passive retention with rapid deployment. These holsters have a state of the art design, with injection molding of high density polymer to create a holster which cannot be duplicated in leather or any other material. 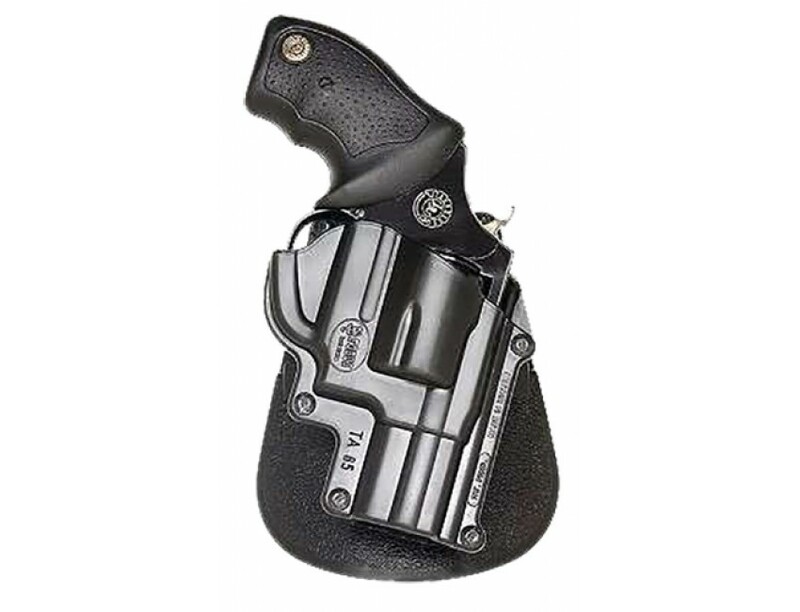 It has a low profile design for concealability, steel-reinforced rivet attachment, and weighs just 2 oz.This Belt Slide model is configured for right-handed carry and is compatible with: Rossi 35102, 35202, R351, R352; Taurus 605 (no polymer), 650, 651, 85 (no polymer), 850 CIA, 905, UL85 (no polymer frames).